This is the second book I've read in the series and I have to say that I was anticipating this story after reading book three. I really wanted to know more about Inessa and what her story was going to be. Inessa has only known herself as 152. She has been trained as a Moya – a sexual slave who is given drugs in order to create a painful sense of urgency – an urgency that means she will die if she doesn't service a man in a specific amount of time. She was taken when she was five and groomed for this life. It is all she knows. However, during moments of clarity, she remembers a boy promising her that he'd free her. Despite knowing the most horrific pain, 152 never loses her ability to love. Then you have champion blood pit 901. He is the most revered fighter and has never lost a fight. He kills without mercy, hates with every cell of his being, and knows that he will die in the blood pit. Master is ruthless. He kills without compunction, treats his underlings as property, wants to be feared and is, but not in the way he thinks, and he wants to be at the top of the underworld pyramid. He calls 152 back to him because he has wanted her ever since she was young. Now that he has her, he uses her to get in to the mind of 901. His champion fighter has never really conformed in a way that makes Master believe that he really does control 901. Rather, Master is afraid, surrounds himself with guards and others who are there as his human shields, and when he realizes that his plan for 152 has backfired, he knows only one course of action. Then you bring in the romance between 152 and 901. I loved how Maya, the Chiri to 152, was able to help them solidify their bond. I think that the secondary characters and their stories were so important to this story and the romance that developed. When the romance develops, you can't help but know that something horrible will happen, but can't look away either. It all comes to head when the men of the previous book join forces to rid themselves of this underbelly world once and for all. None of them can move forward until this has been done. I was at the edge of my seat for this whole story. The love is developed, the rage is uncontained, and the results are bloody, satisfactory, and joyous. I loves this story and am so glad that I got to read the conclusion. 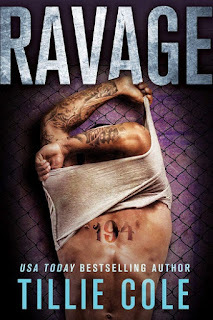 For reviews & more info, check out our Ravage post. 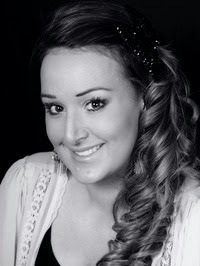 Tillie Cole hails from a small town northeast England. She grew up on a farm with her family with many rescue animals. After graduating from Newcastle University, Tillie and her husband traveled the world for a decade. Now in Calgary, Canada, she writes, throwing herself into fantasy worlds and the minds of her characters. She writes Contemporary Romance, Dark Romance, Young Adult and New Adult novels and happily shares her love of alpha-men and strong female characters with her readers. Her books include Raze, Reap, and Ravage. 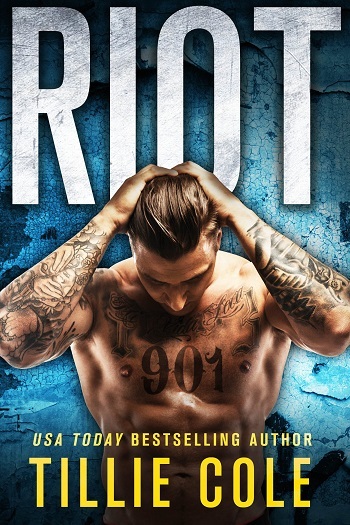 Reviewers on the Wicked Reads Review Team were provided a free copy of Riot (Scarred Souls #4) by Tillie Cole to read and review.